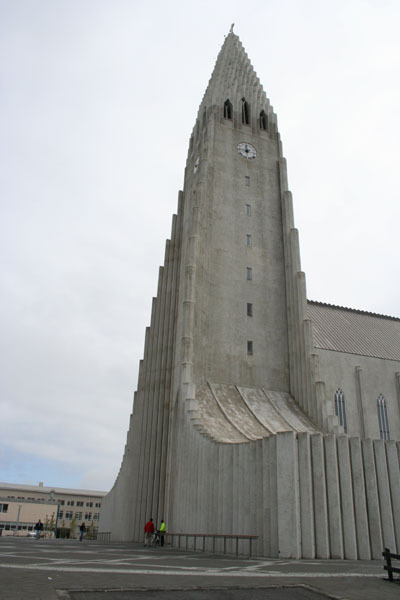 Hallgrimskirkja is the tallest building in Iceland and a famous landmark for the Reykjavik area. 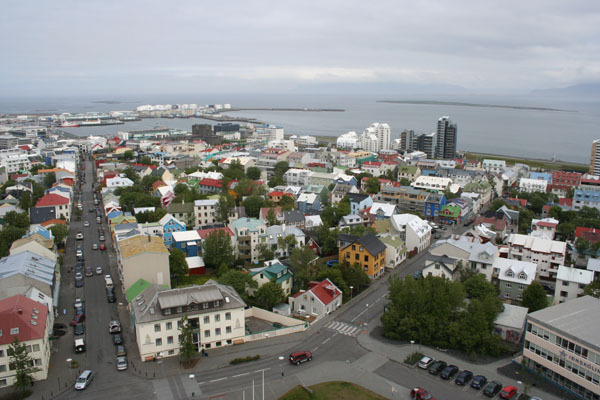 Hallgrimskirkja ist das höchste Gebäude in Island und das Wahrzeichen von Reykjavik. In front of the church, the statue of Leifur Eiriksson, the first European to find America. 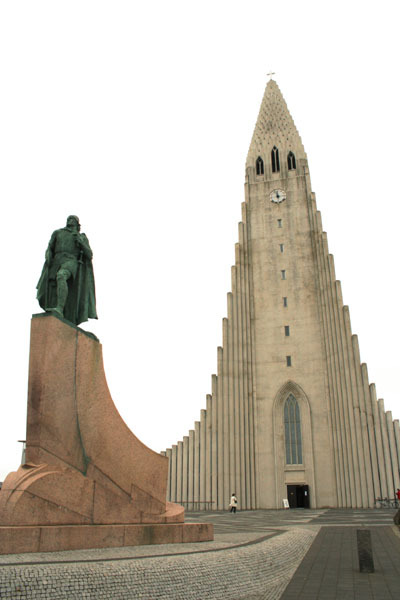 Vor der Kirche steht das Denkmal für Leifur Eiriksson, den ersten Europäer der Amerika besuchte. N-W view from the top of Hallgrimskírkja across downtown and the harbor. Nord-westlicher Blick von der Hallgrimskírkja über die Innenstadt, Richtung Hafen. 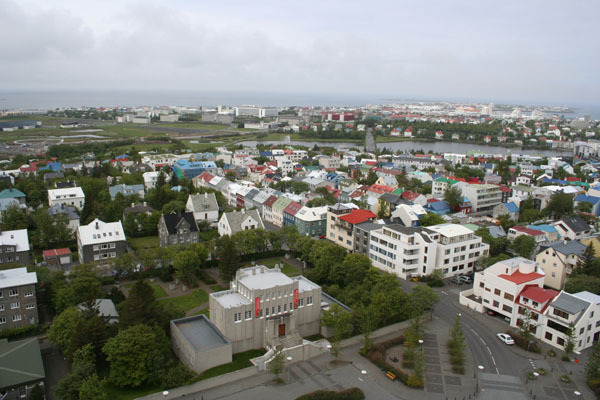 S-W view from the top of Hallgrimskírkja with the Einar Jónsson museum. 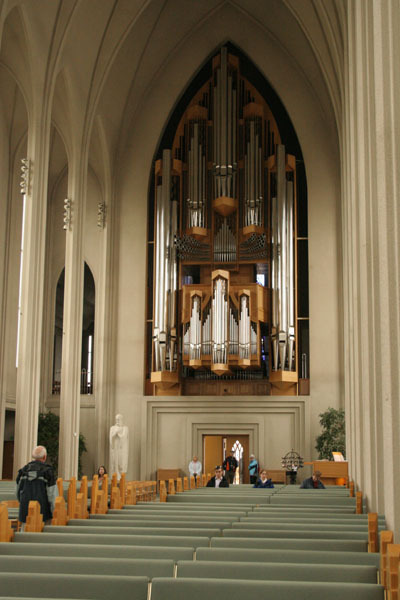 The huge, German-built organ was installed in 1992. 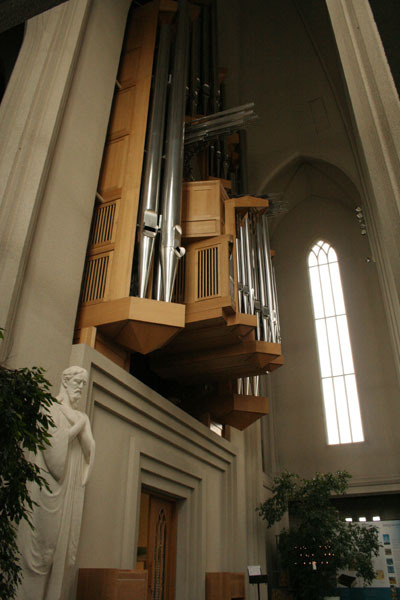 It is 15 meters/45 feet tall, weighs 25 tons and has 5275 pipes. It is the largest musical instrument in Iceland.